From La Rioja, Spain. Yes, they really do grow this way naturally! Pyrite can occur in many forms - crystalline (cubic, octahedral, pyritohedral), granular, massive, globular or stalatcitic. It is also commonly seen in association with other crystals, such as fluorite, apatite, quartz or afghanite. A pyritohedron is an irregular dodecahedron - a 12-sided object with pentagonal faces of irregular shape. 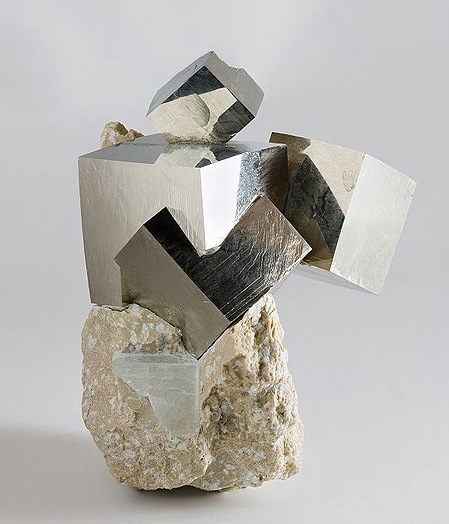 In nature, no crystalline substance of any kind has been found with an absolutely regular dodecahedral shape  - although sometimes dodecahedral pyrite crystals can come quite close, as can be seen in the second of the images. 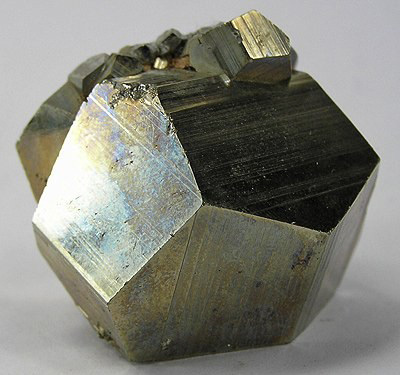 Pyrite's faces can sometimes be quite smooth, although they are often striated (marked with parallel lines). One of pyrite's fascinating qualities, as can be seen clearly in the top image, is its ability to intergrow. The cubes in the topmost image appear to have melded with each other without losing their individual form - and sometimes fantastic "chains" of intergrown cubes can be found. This quality is renowned with the pyrite cubes that come from Spain. 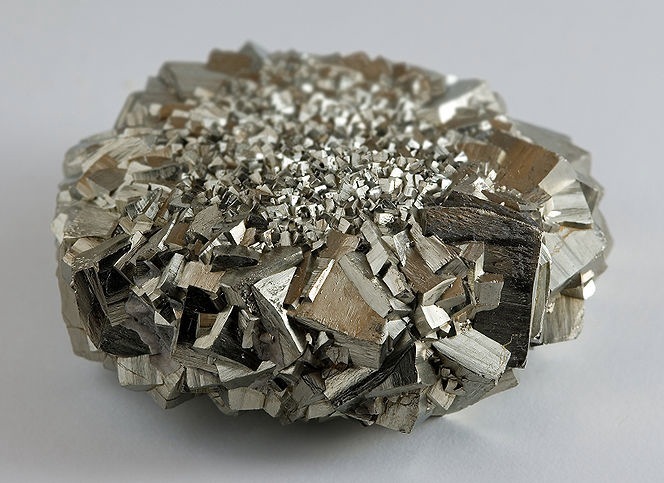 Pyrite was used in early firearms of the 16th and 17th centuries as the "flint" to make the spark - and its name comes form the Greek "pyrites lithos" which means "stone which strikes fire". 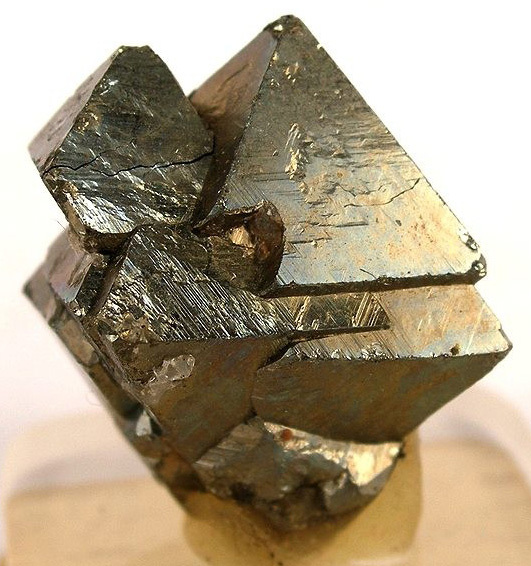 Pyrite also has had many industrial uses from radio to solar cell technology - as well as being used in jewelry. When used decoratively, pyrite is most often kept in its original state, due to the interesting and attractive shapes it forms. Pyrite Octahedron from from Hunan, China.